Just about everywhere you look in Disney's Animal Kingdom you will find some incredible original artwork, often painted by artisans from the country represented in that particular area of the park. 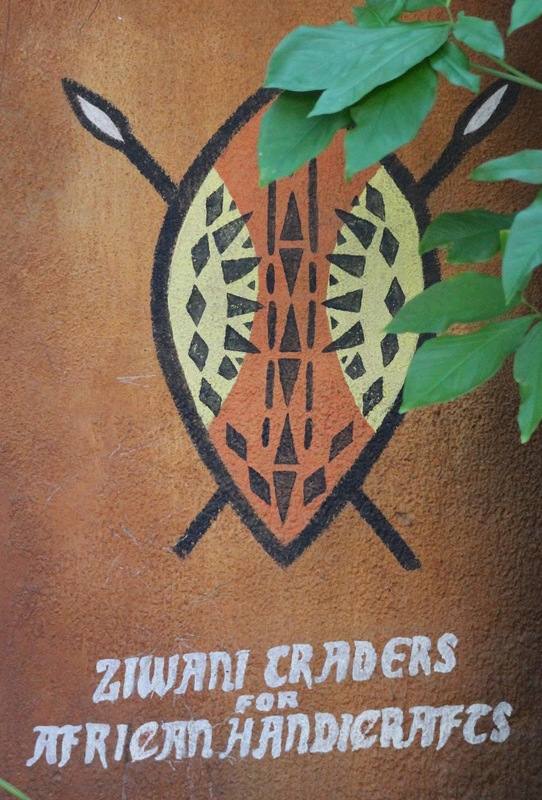 Check out this gorgeous painting of a shield on the exterior wall of Ziwani Traders. A word to the wise, never walk through DAK without looking around at the details and artwork surrounding you. If you do, you're missing part of the show!